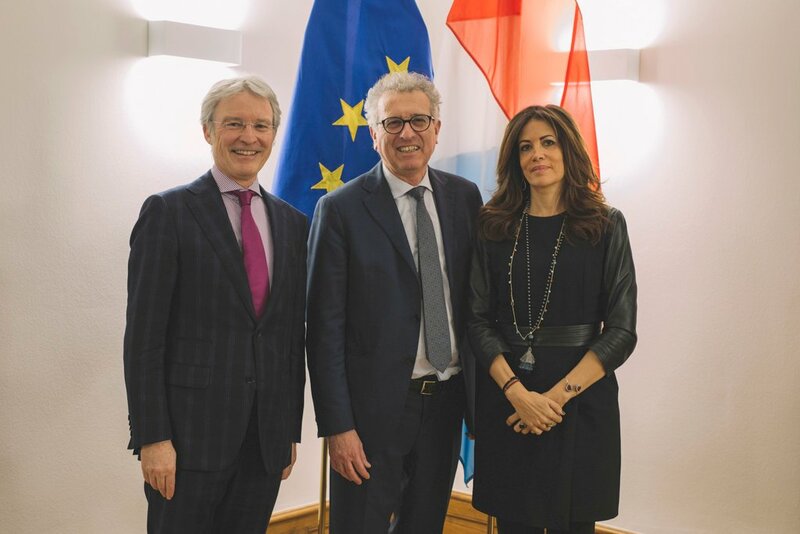 LPEA’s Chairwoman Rajaa Mekouar-Schneider and Managing Director Paul Junck spoke with Luxembourg’s Finance Minister Pierre Gramegna, one month after his appointment for a second term in the office. Mr. Gramegna argues that Britain’s decision to leave the EU has prompted an inflow of Private Equity firms to Luxembourg, a measure of the success of the government’s efforts to maintain the country’s attractiveness. 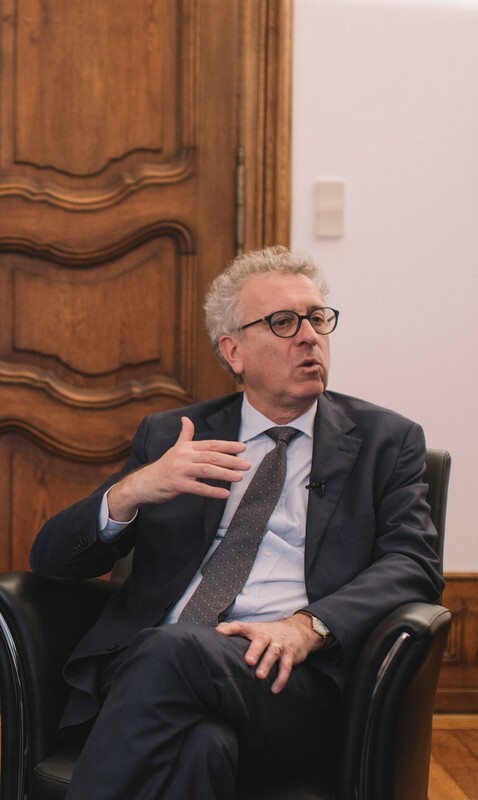 The re-elected coalition is also ready to act, Gramegna says, to ensure that firms are not penalised by EU legislation that leads to a broadening of the tax base. How would you assess the current political and economic situation in Europe and worldwide? The economic situation is marked by a slowdown in growth and developments such as the Brexit and implications of a trade conflict between China and the US. Obviously, these developments warrant caution and entail some negative implications that we should take into account, but this needs to be put in perspective. At any time, negative elements will always be part of the mix. I don’t think that at this juncture one can say that they will lead to a recession. They are likely to lead to slower growth, what one might call a technical slowdown, but right now I would not describe this as threatening. Growth was 2% for the EU last year and this year it will be around 1.5%. Last year we saw growth in all EU countries for the first time ever and this year will probably be the same. So, let’s not exaggerate its importance or allow it to undermine growth and confidence. What really drives the economy is primarily international trade, and while there may be a slight trade slowdown, it will be limited, and the second key factor, confidence, remains quite good for now. How do you see the impact of Brexit in general and for Luxembourg in particular? What can Luxembourg offer the fund management industry in the current uncertainty? It is important to look back on what happened on June 23, 2016, when the UK voted to leave the European Union. We have to respect that decision, although we knew it would be bad for Europe and very bad for the UK. Two-and-a-half years later we have realised that the economic and political consequences are even worse than we imagined for the UK and just as bad as we originally thought for Europe. In Luxembourg, we have advocated from the start that we should not punish the UK for its decision, nor should we burn our bridges with Britain. In fact, Luxembourg has been extremely successful in attracting private equity firms, asset managers, insurance companies and fintech start-ups as a result of Brexit – a total of almost 50 companies, which represents a short-term benefit for the country. But in the medium and long term, we will lose important financial partners, and the City of London, the world’s largest financial centre, will no longer be within the EU but outside. It’s a mixed picture, but we should not overdramatise. By opening a subsidiary within the EU single market, a company located in the UK can use passporting rules to access 500 million consumers, as the nearly 50 companies that have chosen to come to Luxembourg are doing. In addition, Luxembourg’s financial industry also does business with the rest of the world. However, I must say that it is extremely frustrating for the EU27 to be faced with the current situation. A no-deal Brexit is very much a Pandora’s box – no-one really knows what the consequences will be. Competing on an increasingly level playing field, how can Luxembourg sharpen its edge in the financial sector? If the playing field was truly level, we would not have been so successful in attracting companies as a result of Brexit. To put it differently, irrespective of Brexit, a lot of financial groups see Luxembourg as one of the best locations for financial services. A recent ranking compiled by U.S. News & World Report classified the Grand Duchy as the most open country for business in the world. That’s further confirmation that our system is competitive, and that we are perceived as open and welcoming for business – which is why our financial industry continues to grow, including as a hub for private equity. Economic growth over the past five years has averaged 3.5%, which is very strong for a mature economy with a highly developed financial industry. But on the other hand, it is not excessive, contrary to what you sometimes hear. It is slightly less than double the average growth across the EU, which I think is in the right bracket. What goals have you set for your second mandate with regard to the financial sector? As part of our overall framework, we aim to deliver on our promise to remain an AAA-rated country. The AAA rating is extremely important for financial institutions, bolstering their confidence in Luxembourg and encouraging the location of European headquarters or investments here. We see three opportunities for the development of the financial centre. One is for the financial industry to become more and more sustainable. Financing the green economy will become the priority for initiatives at both legislative and commercial level, as we have already done in recent years. We recently adopted a sustainable finance roadmap and will roll out the plan over the next couple of years, creating stable institutions and infrastructures as part of a strategy to measure ourselves against other countries. We can build on the success stories of the past few years, such as the Luxembourg Green Exchange. There’s also the EIB Luxembourg Climate Finance platform that we have developed for green investments in which the government takes on the initial risk as a junior partner, as well as the International Climate Finance Accelerator to encourage asset managers to create green funds. Finally, we have been pioneering the labelling of green products with LuxFLAG, for which we have just announced a three-year funding programme. Green finance is going to be critical. There’s also a lot happening in fintech, especially digital transformation and AI, which we are seeking to encourage. The success of the Luxembourg House of Financial Technology (LHoFT) has demonstrated our international appeal: the LHoFT is full already, and innovators are flooding in from all over Europe and beyond, choosing us as the hub to access the EU single market. Finally, the experience of Brexit has shown that our ecosystem is seen as competitive by the PE industry, and I would like to encourage the LPEA to join the finance ministry to examine how we can become even more attractive in the future. I would also encourage you to help identify the decisive factors that prompted the largest PE companies that were not previously present in Luxembourg to choose this country. What contribution is private equity making to the Luxembourg economy? The PE business was flying under the radar until two or three years ago. What we can do in the future is work together to increase the country’s existing appeal, taking stock of what aspects are less popular with your members and where there is room for improvement. I am open to suggestions in this area and to conduct a regular dialogue. What developments do you see for private equity in Luxembourg in the future in terms of legislation, new trends and the arrival of more leading groups in the sector? Could, as many PE firms claim, a more attractive carried interest regime bring more GP teams and their activities to Luxembourg? First, I would make a general point about the openness of our economy and freedom of investment in our country. Very few nations have such a long tradition of openness as Luxembourg, and in the PE field the freedom to enter and exit with total transparency and efficiency is extremely precious. Secondly, I believe our tax system is relatively attractive The new government has announced a 1% reduction this year in the global corporate tax rate, including the municipal business tax, which will fall from 26% to 25%. We are confident that we offer a relatively favourable regime for private equity investments. There are quite a few longstanding features of Luxembourg’s tax regime that remain advantages today, despite our embrace of the principles on base erosion and profit shifting (BEPS) put forward by the OECD and G20. In the beginning, everybody was afraid that under the BEPS initiatives, Luxembourg would become less attractive but the good thing is that this broader tax base is taking effect everywhere at the same time, so it is not exclusive to Luxembourg and putting us at a disadvantage. We know that the financial industry is calling on us to lower taxes – it is something normal that happens all the time, in every country. But there is also a claim that due to the broadening of the tax base which took place last year through the EU’s first Anti-Tax Avoidance Directive and will take place again this year with ATAD II, tax revenues will be raised and eventually make us less competitive, even though this will be the same throughout the EU. In this case, if the broadening of the tax base results is an increase in tax payments, if we see companies are really paying more tax because of the changes, we will adopt measures to neutralise the increase. We have already reduced the tax rate two years ago from 21% to 18% in anticipation of BEPS. Because of the broadening of the tax base, we took action in advance. With the reduction this year we have already front-loaded a tax reduction. We cannot continue to reduce taxes simply because companies protest, they will have to pay more, but we are ready to monitor the situation. As for the PE industry, our coalition programme states that we will improve the expatriates’ tax regime. The idea is a system for expatriates that would be limited in time, as it must be, but that would help to attract PE and other players to Luxembourg. Most countries across Europe offer tax policies to support start-ups, benefiting both entrepreneurs and investors. Do you have any incentives planned? In our programme we set out our aim to create a regime to encourage the involvement of private individuals through the tax deductibility of part of their investments in start-ups. We have been looking at regimes in neighbouring countries, and I plan over the next month to collect all the data and submit proposal for a Luxembourg programme to the government. I should say there is no firm decision on this yet, but there is a willingness to examine the issue and I will be its advocate.